Join funders to learn about how Bromelkamp’s software solutions facilitate the work of more than 200 grantmakers internationally. Choosing a Grants Management System is not easy. It can take a lot of research, especially when you factor in time spent vetting the vendor. Join idealware.org and colleagues from across the country for this series of webinars that will save you time by providing you with the impartial information you need to accelerate your evaluation process. There are many commonalities in the grant management process among foundations and grantmakers. In this session, we will look at some best practices and look for methods to streamline the grant application and grant reporting process for both funders and non-profits. A CNJG member queried our listserves on what online grants management system members use and would recommend for a small foundation. CNJG compiled these responses, and listed the different systems that members do use. This article written by Kerry McHugh Vice President and Program Officer at the Helen J. Serini Foundation, an independent foundation located in Maryland, offers ten things to do when meeting with a prospective grantee. She encourage funders to think of these interactions as relationship-building rather than a transaction. A CNJG member queried the Health & Aging listserves asking for sample letters of inquiry. This document includes a few responses from fellow members. 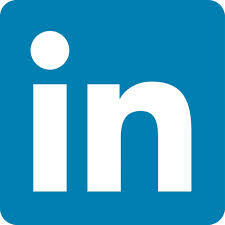 If you would like to add yours to this list, please email us. How Can We Help Our Grantees Strengthen Their Capacity for Evaluation? There is widespread and growing recognition in the nonprofit sector about the importance of evaluation — not only for measuring impact, but also for improving programs and better serving communities. While grantmakers generally see evaluation as necessary, most are not yet investing enough resources in this area. 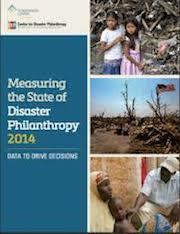 Measuring the State of Disaster Philanthropy 2014: Data to Drive Decisions is the most comprehensive analysis to date on disaster-focused philanthropy. Published by Foundation Center and the Center for Disaster Philanthropy, the report provides a snapshot of funding for disasters by the largest U.S. foundations. This publication from Grantmakers for Effective Organizations offers a framework for thinking about how to measure progress and results in place-based and community change initiatives.